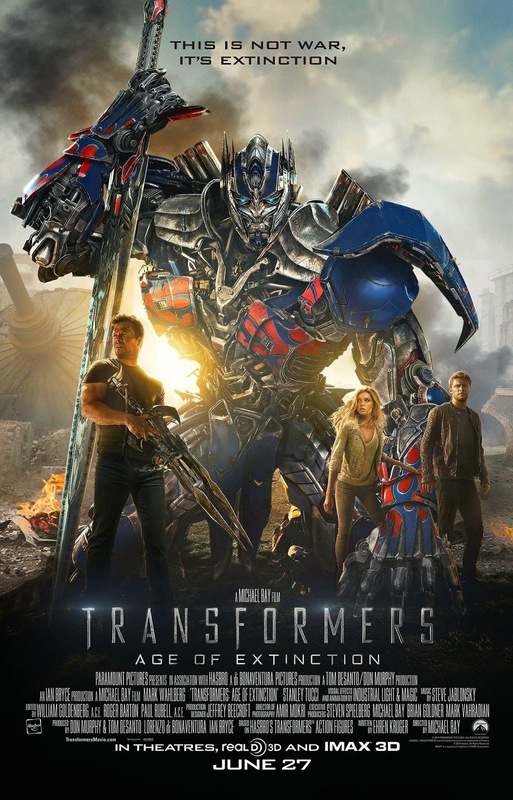 As I expected, Transformers Age of Extinction is worth the fuzz and buzz I’ve been reading about it online. In fact, beyond what I expected, it could be the best Transformers movie to date, so much better than the first three Transformers films. If you watch it in 3D, its robotics and special effects come to life. As usual, you might find yourself unintentionally docking to evade debris which appears to be racing towards you or coming from behind your seat. The visual effects is stunning and so believable, you’d never think they were only created. Going back to Transformers Age of Extinction, there are a few notable points I would like to highlight. The concept of possible makers of Autobots and Decepticons dating beyond their planet’s history reminded me of the film Prometheus. It is backed up by conspiracy files of Sumerian aliens and Nephilims which could be gigantic human-like extraterrestrials who supposedly engineered human DNA and created us. In this Transformers sequel, an additional villain is introduced in the form a bounty hunter out to collect every bit of remaining Transformers as price named Lockdown. He was a mercenary hired by the alleged creators of the Transformers. In this sequel, it’s also noteworthy to mention that Megatron lives on through a human programmed robot named Galvatron which was made out of the former’s spark and transformium, the matter which Transformers are comprised of and enables them to transform. The manmade Transformers appear to be more powerful in terms of transformation capability but not in might. Galvatron’s final statement in the movie can be a hint for an upcoming sequel which is possibly by 2016 although there was no teaser after the credits rolled at the end of the movie. I’m guessing that Constructicons will be introduced by that time in the same manner Dinobots were present in this sequel. The casting is a composed of a completely new set of humans where the setting was 5 years after the battle in Chicago. Every single character is worth writing about including cast in cameo roles. You’ll find an expounded feature on each of them through Wikipedia. Amongst the Autobots, Optimus Prime returns with Bumblebee along with other robots of their kind. Only Megatron, now Galvatron, remains amongst the Decepticons although he was able to program about 50 human made drones under his command. See you on the next Transformers by 2016!